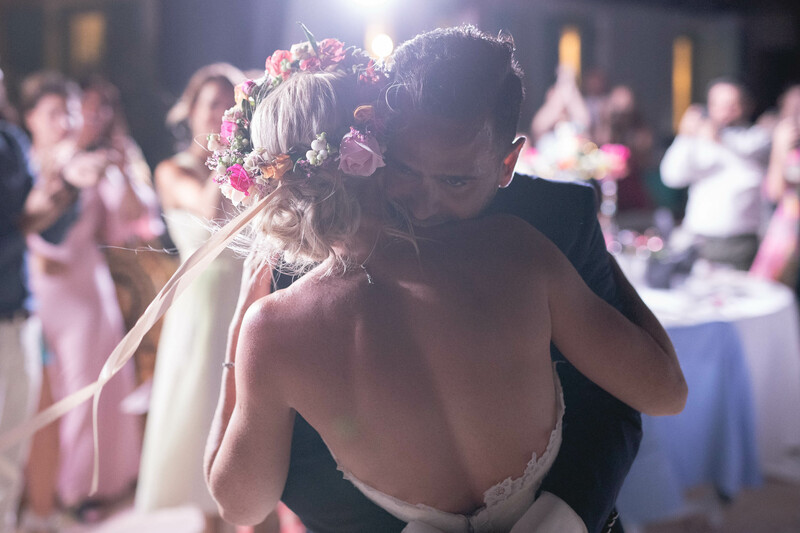 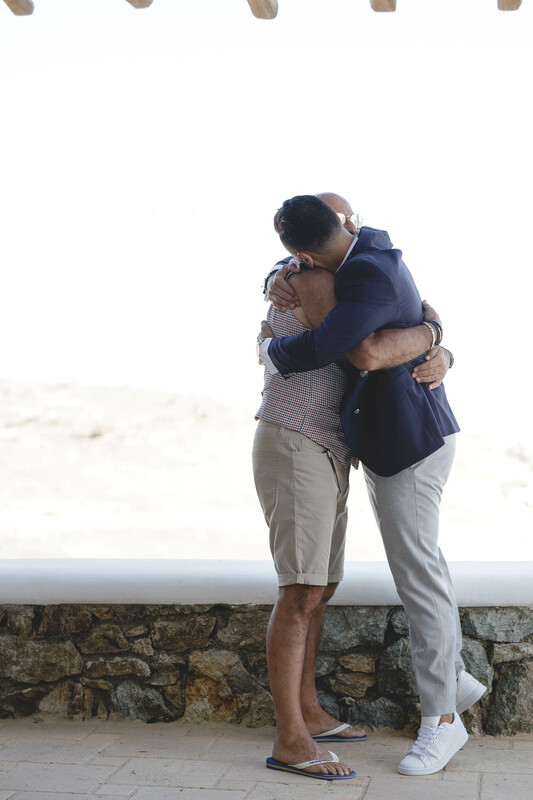 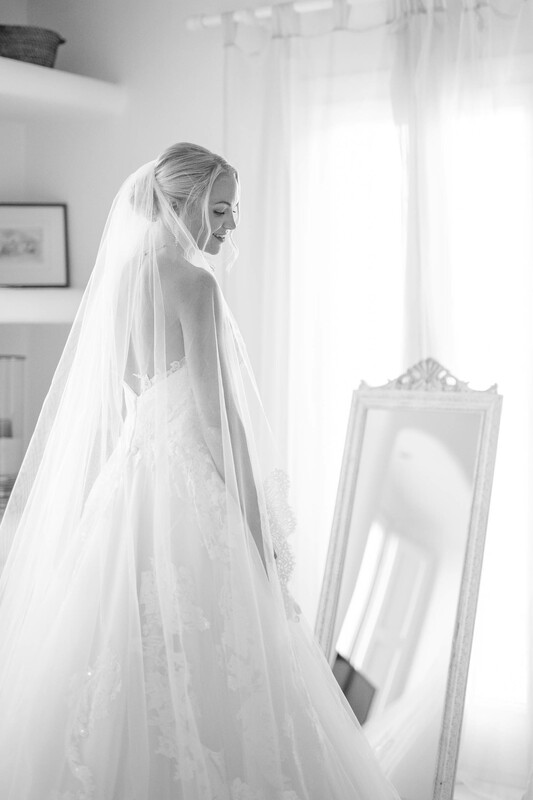 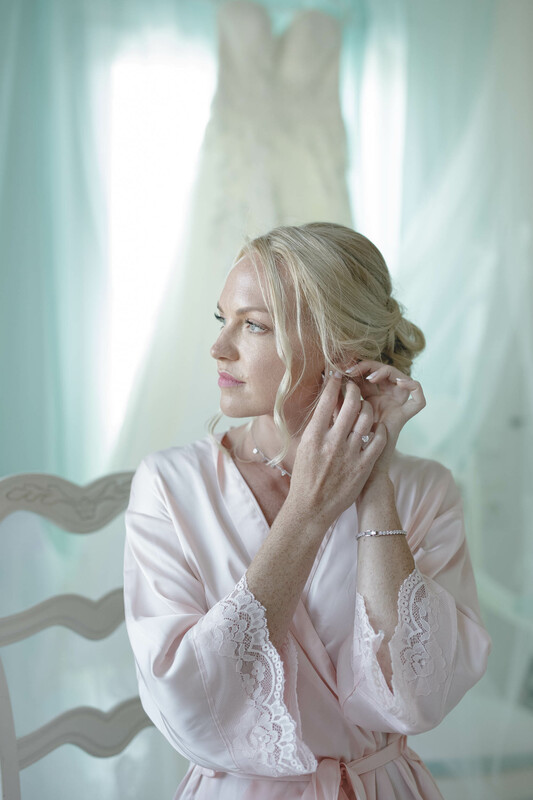 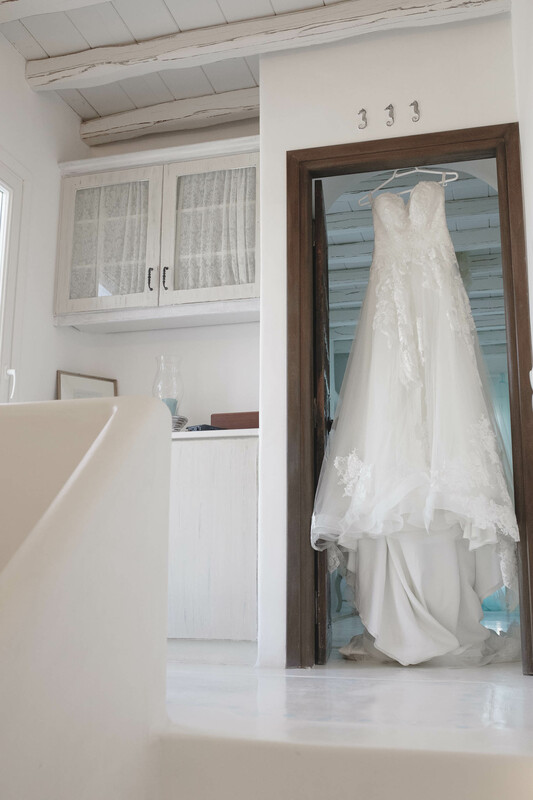 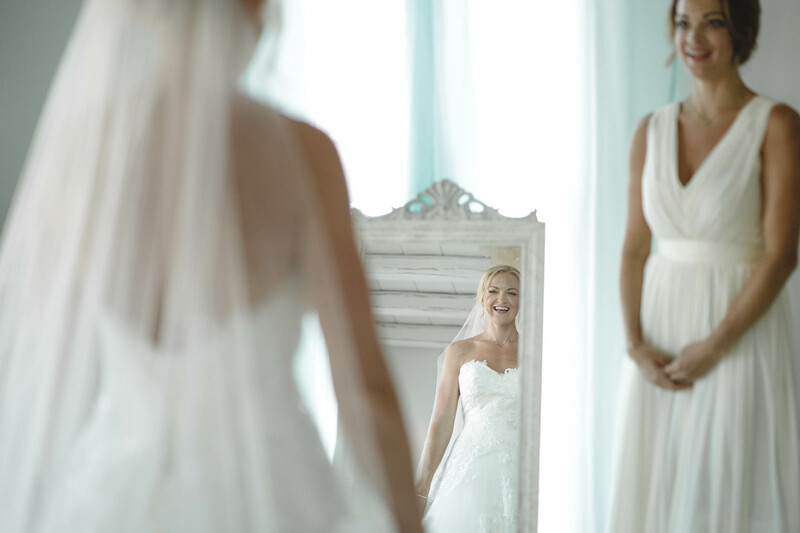 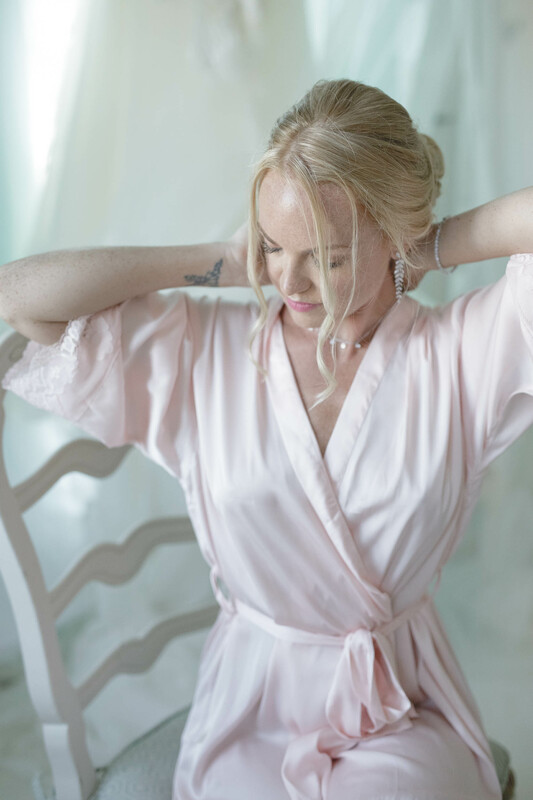 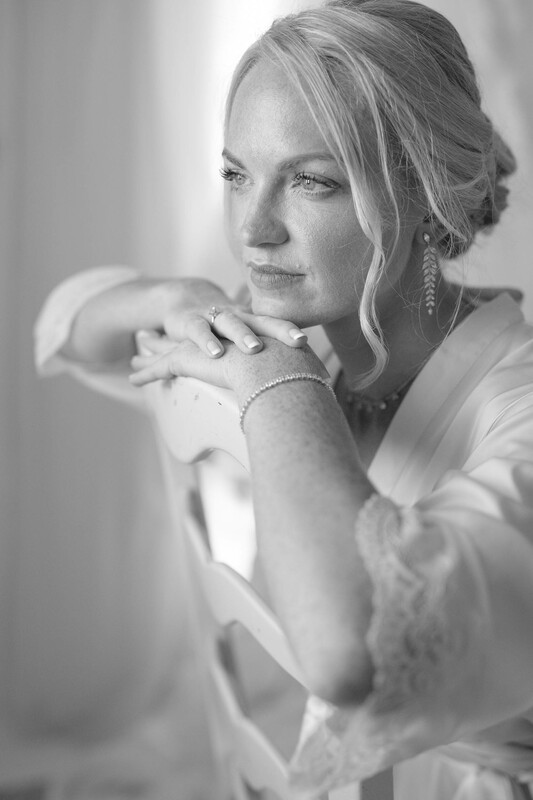 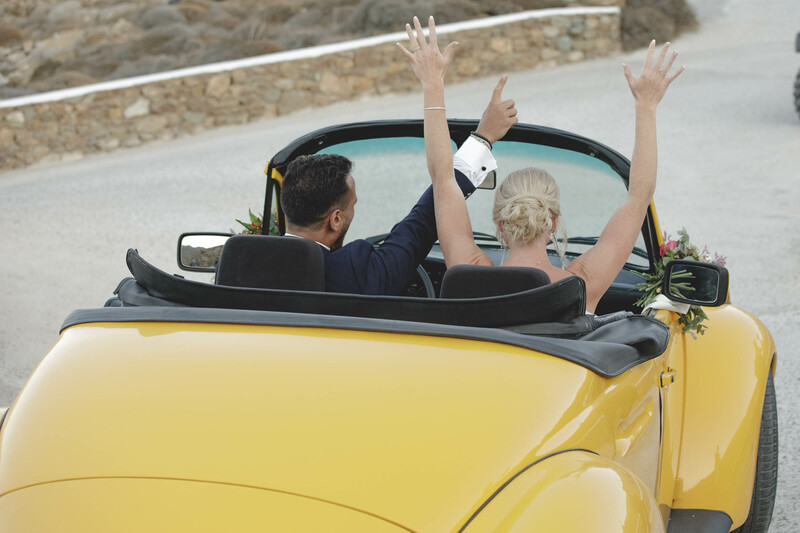 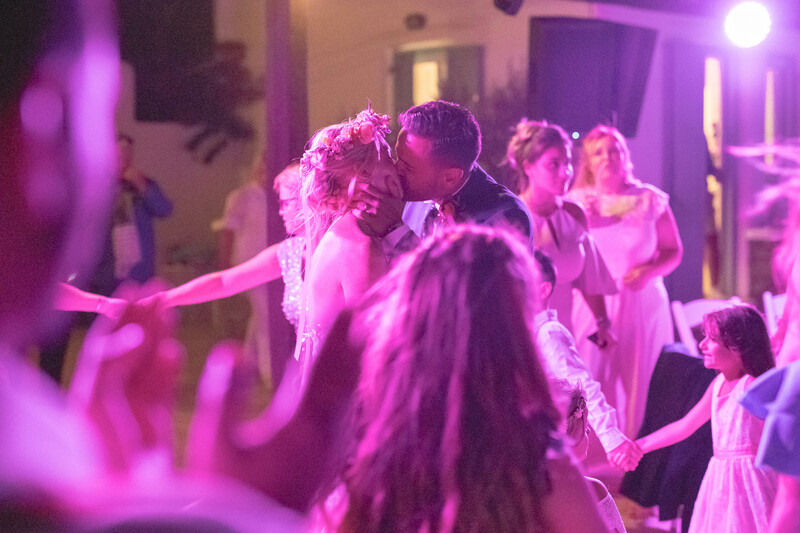 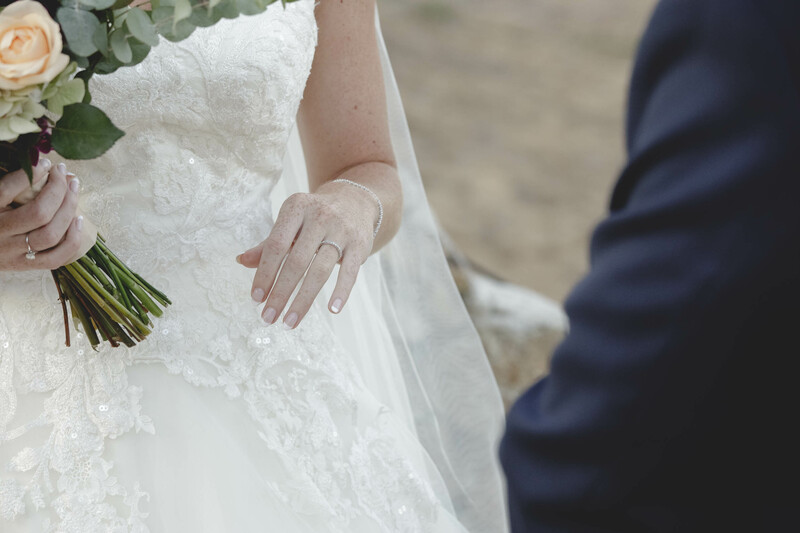 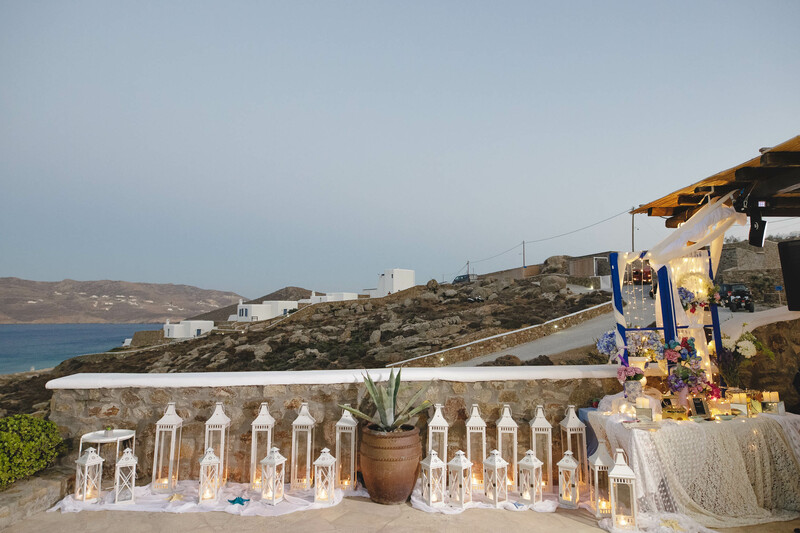 Getting married in Greece is a dream come true for many couples around the world. 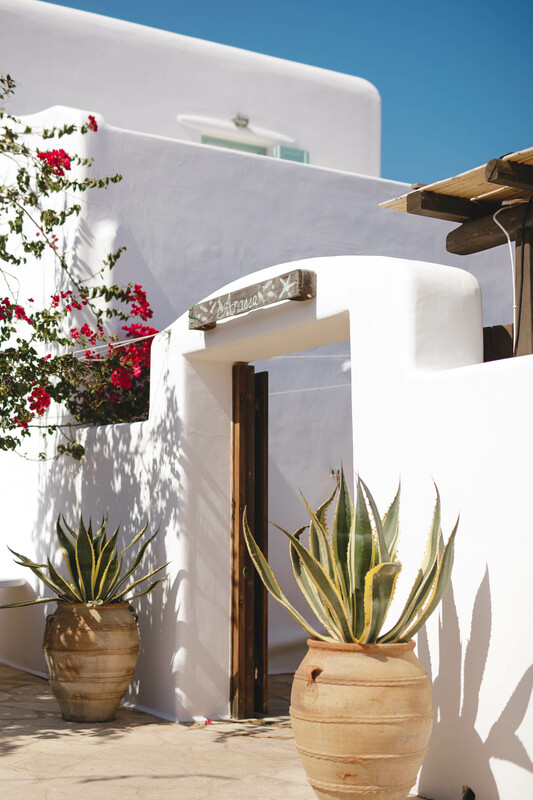 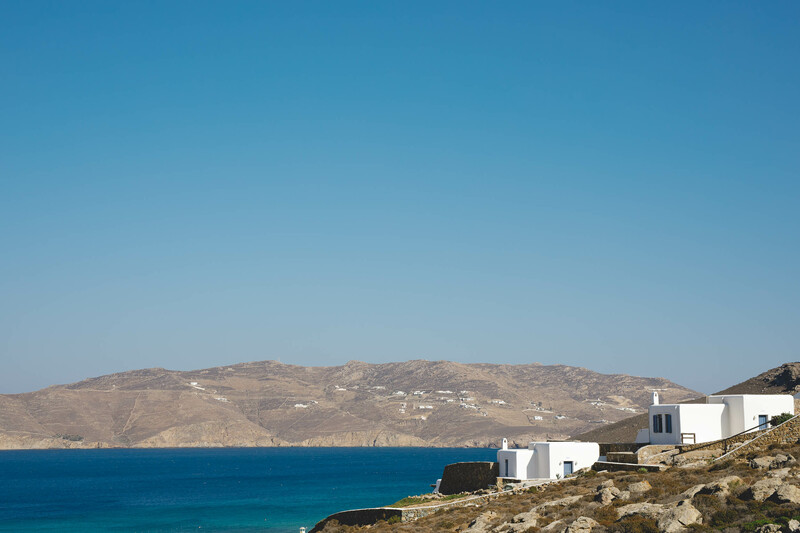 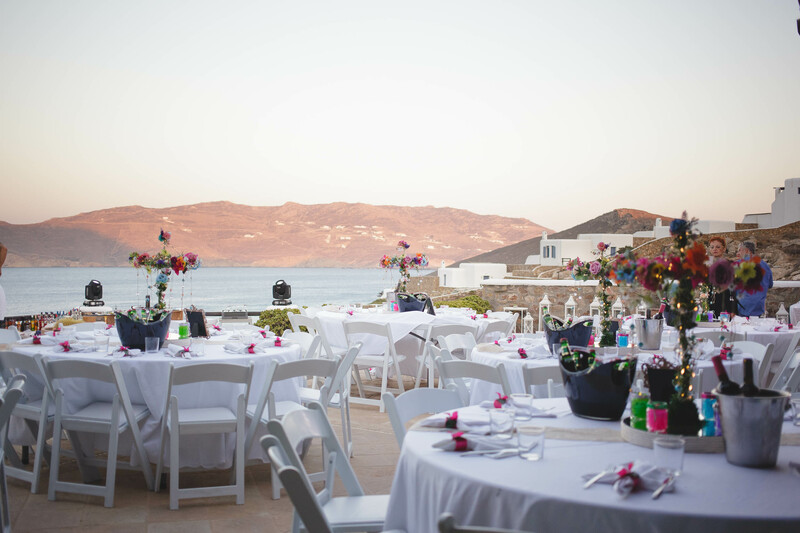 Mykonos is one of the top wedding destinations in Greece. 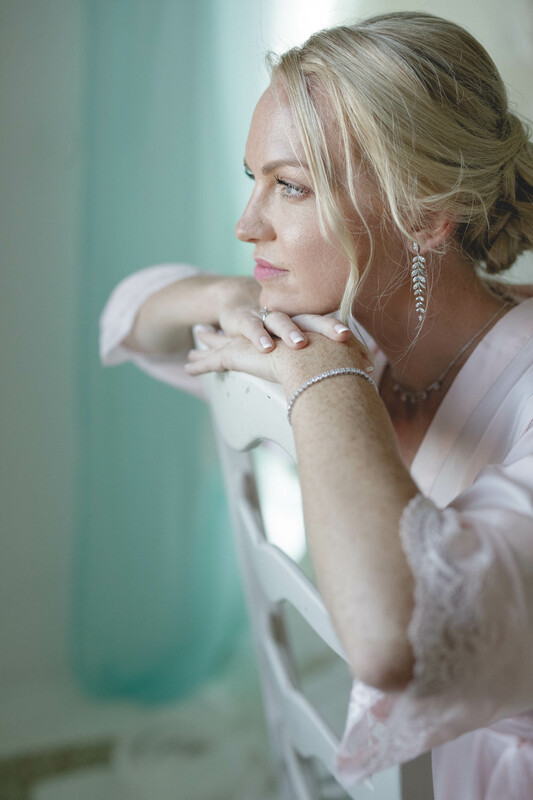 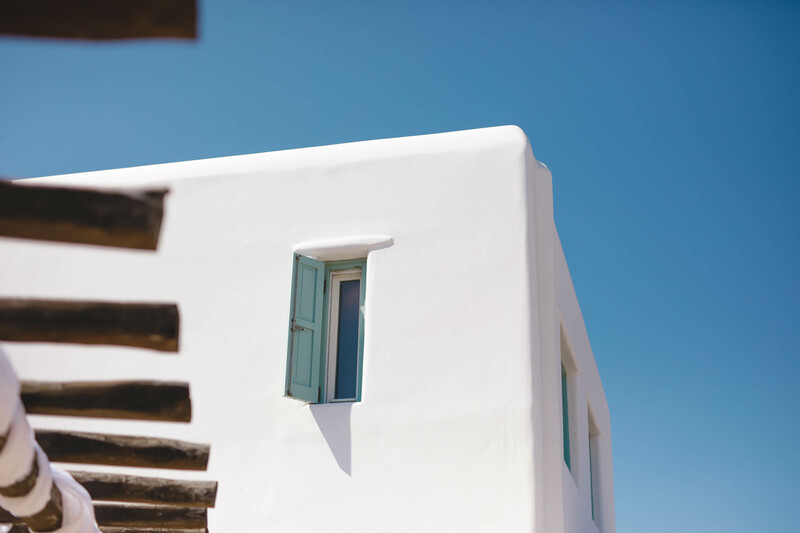 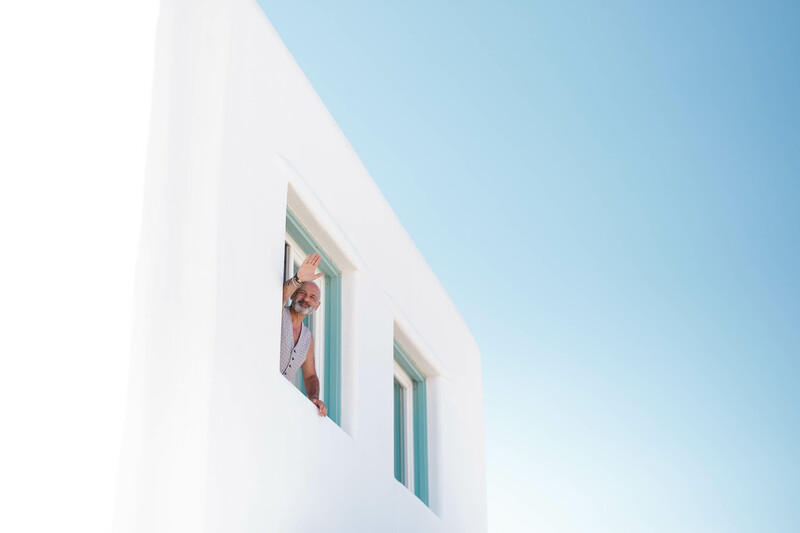 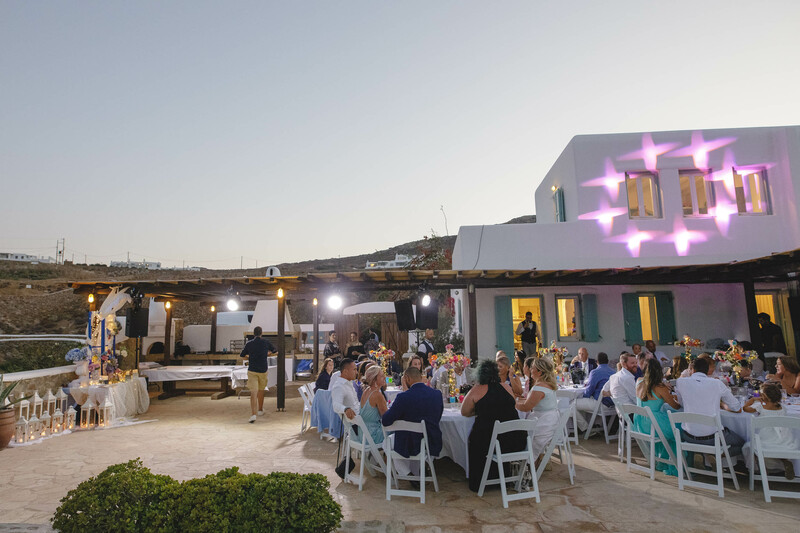 The blue of the Aegean, the unique light of the Med sun, the bright colors of the architecture and the endless palette of the greek sky create the perfect wedding scenery. 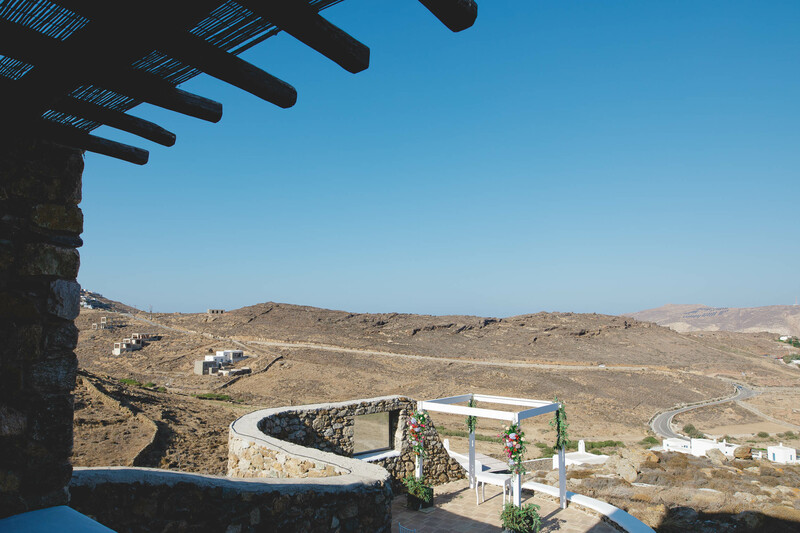 Jad and Hannah chose this scenery for their wedding. 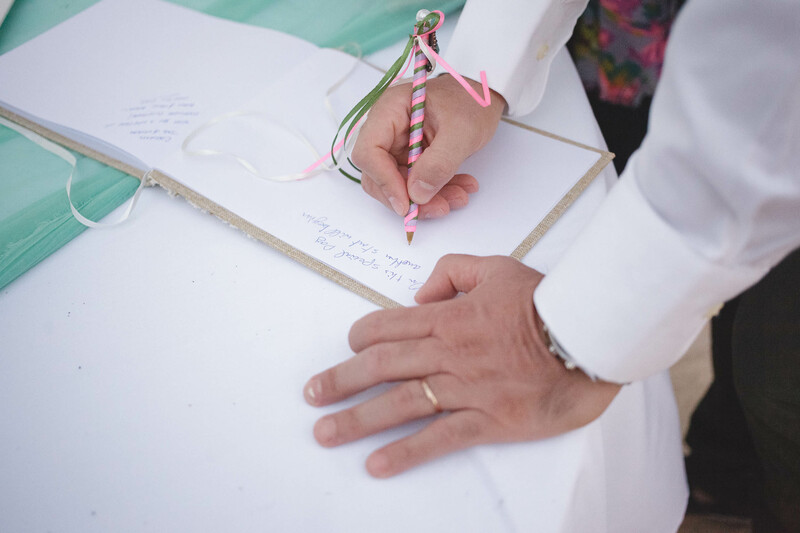 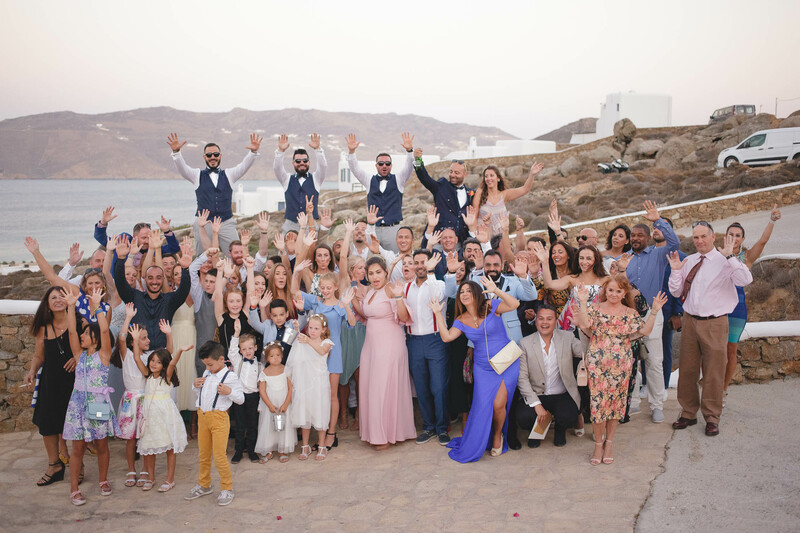 Their friends from Dubai, their families from London and Beirut came together on the island to be by their side. 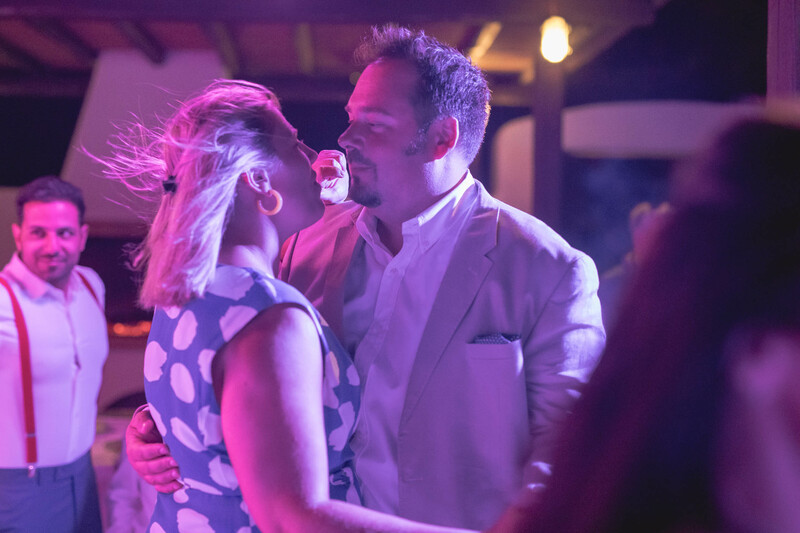 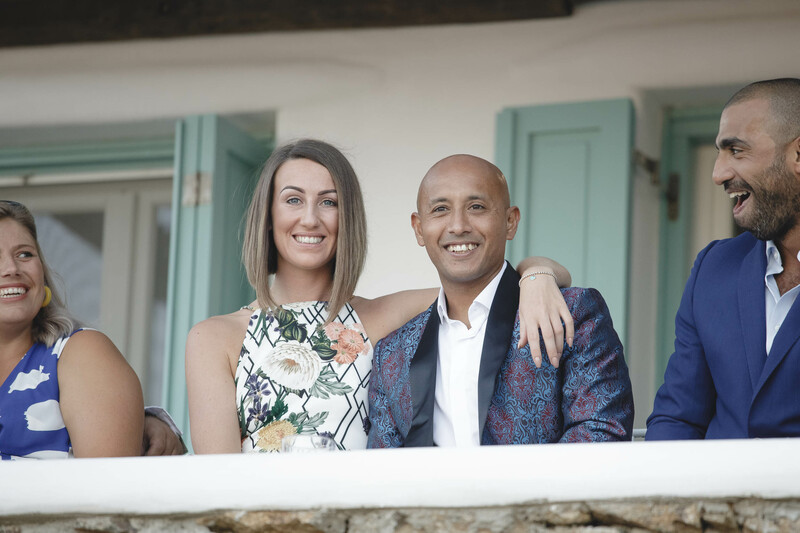 Jad and Hannah trusted their dream to Diamond Events and their team put eveything together. 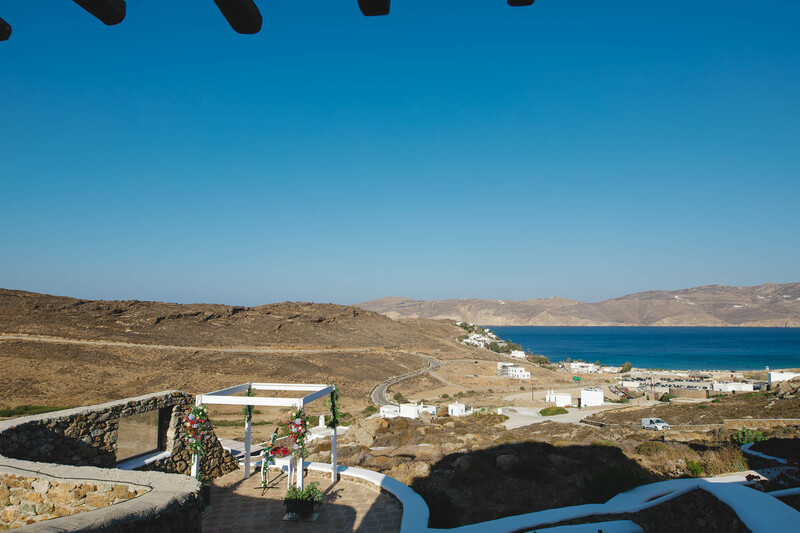 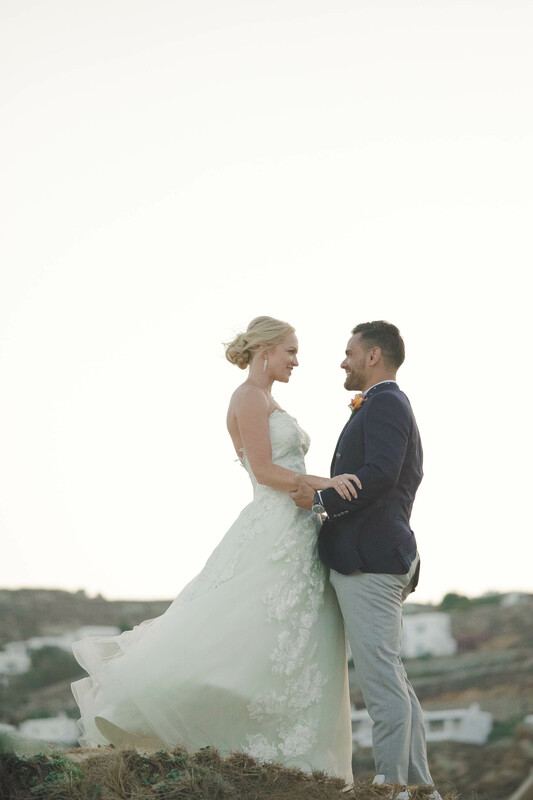 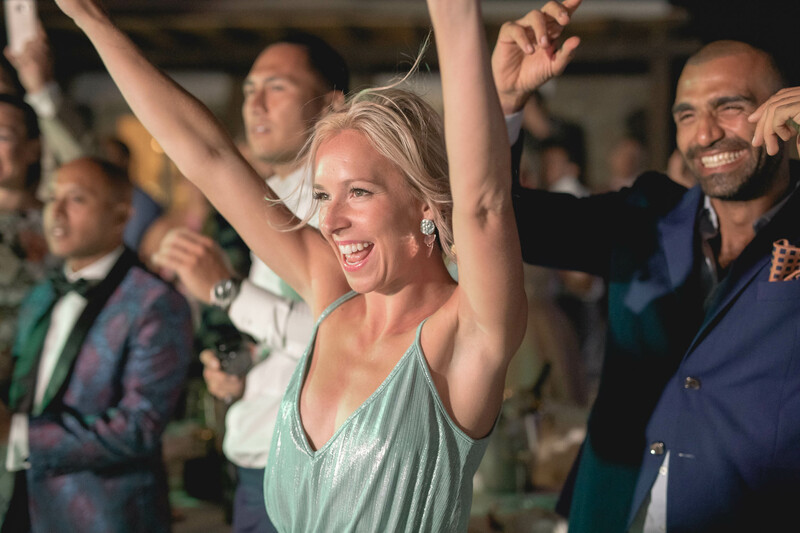 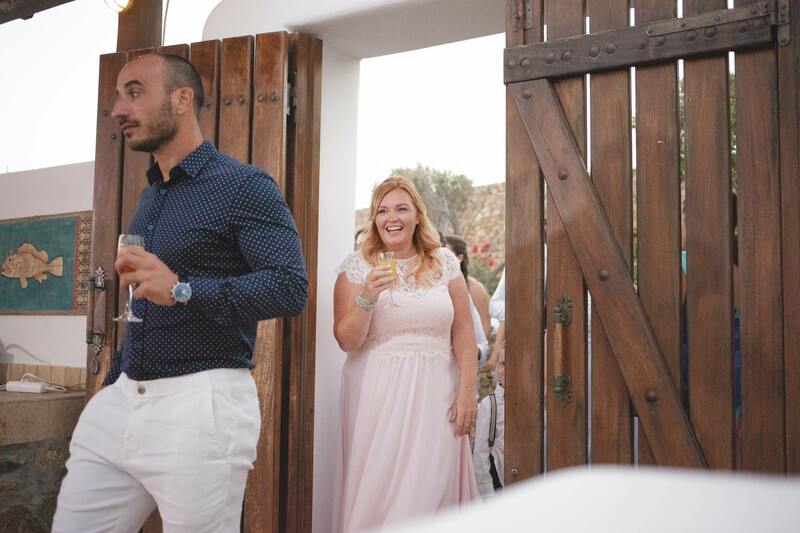 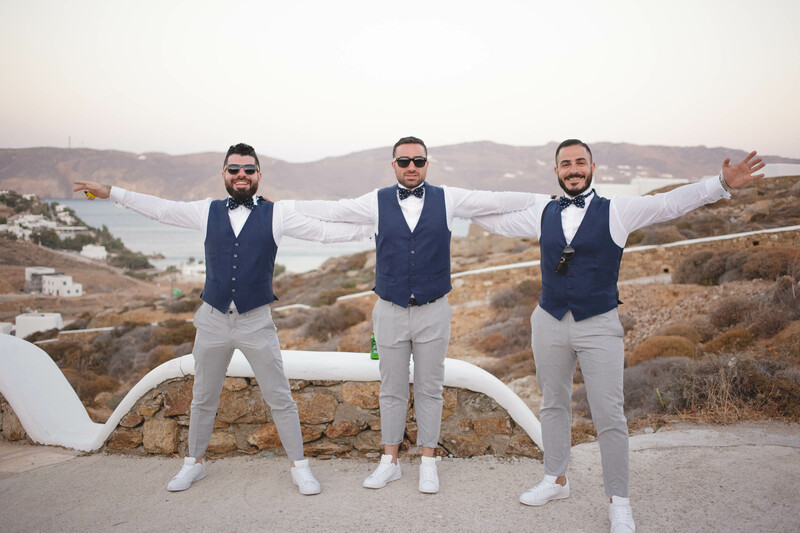 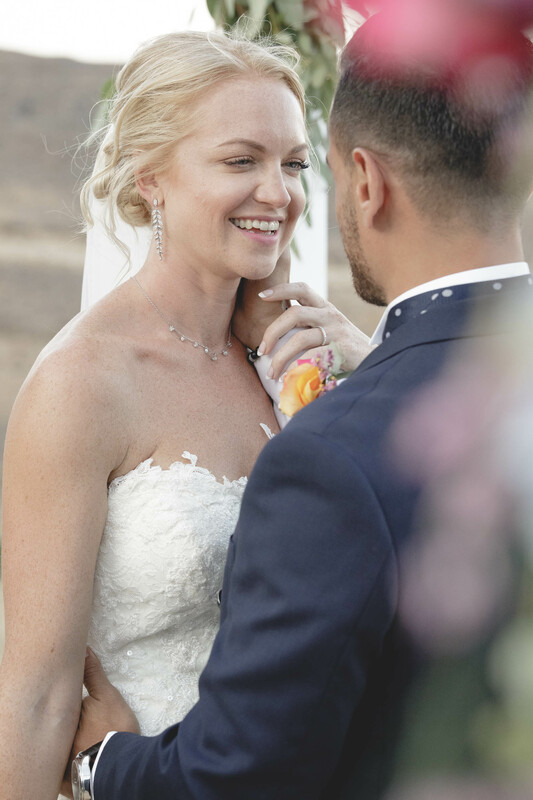 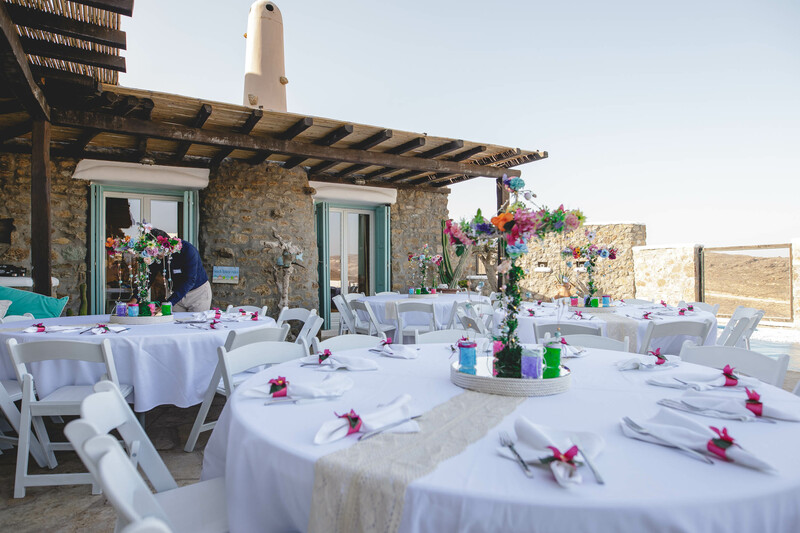 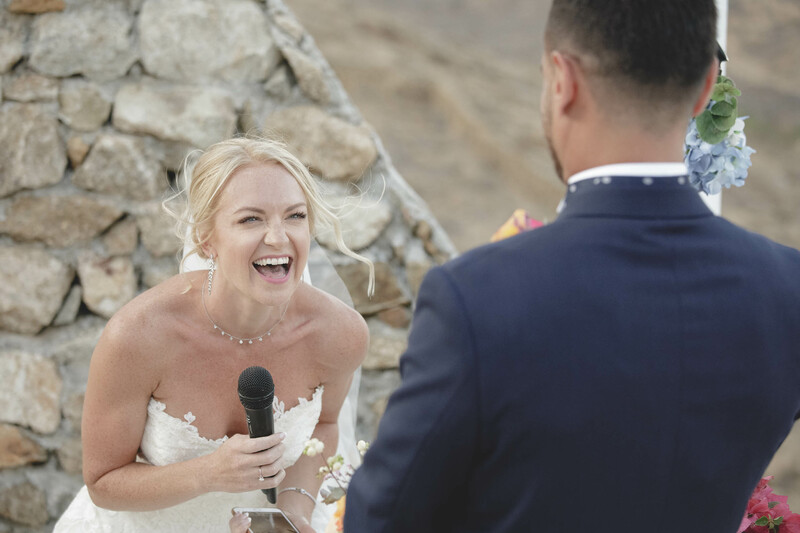 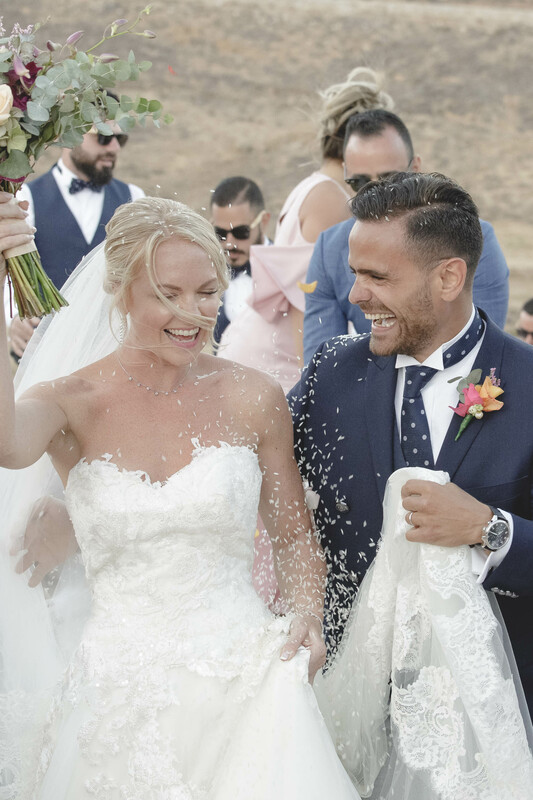 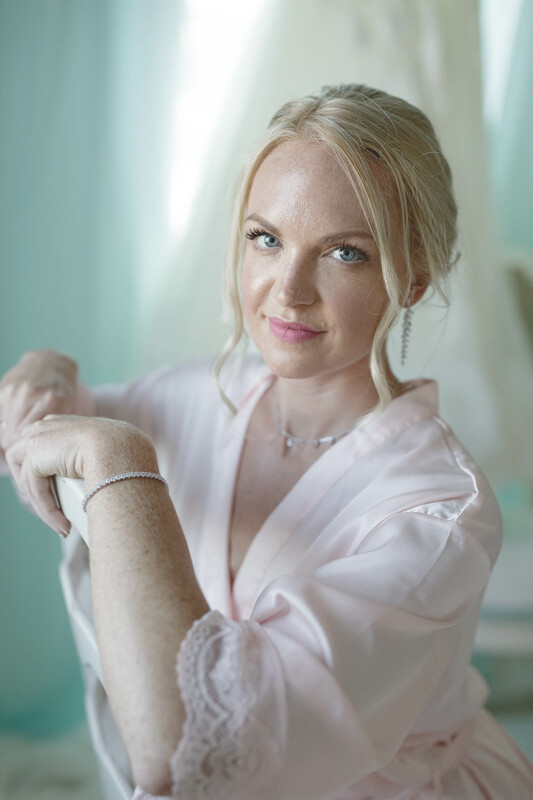 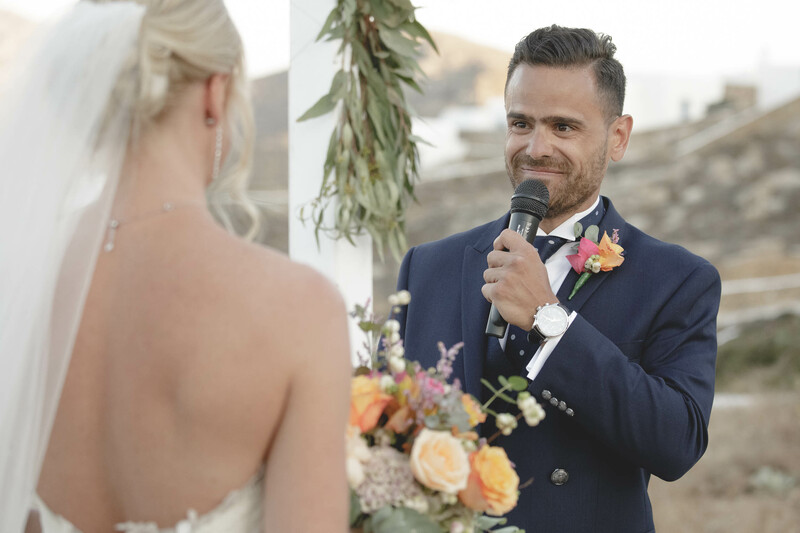 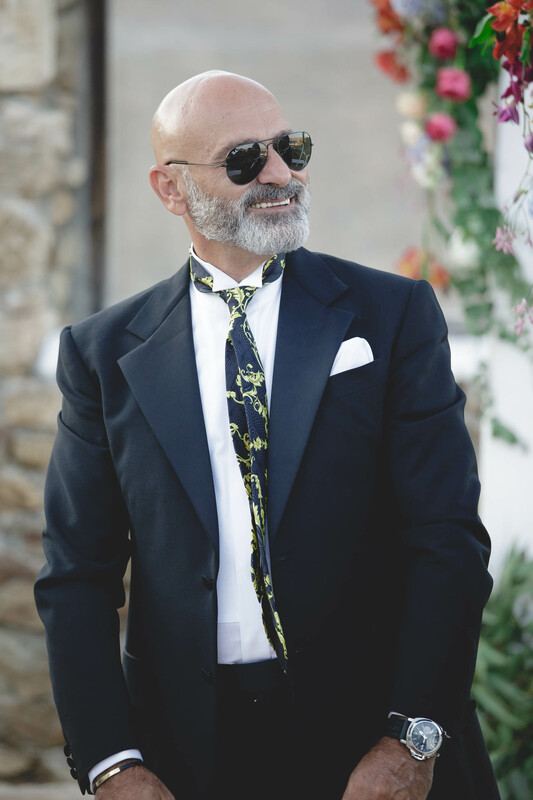 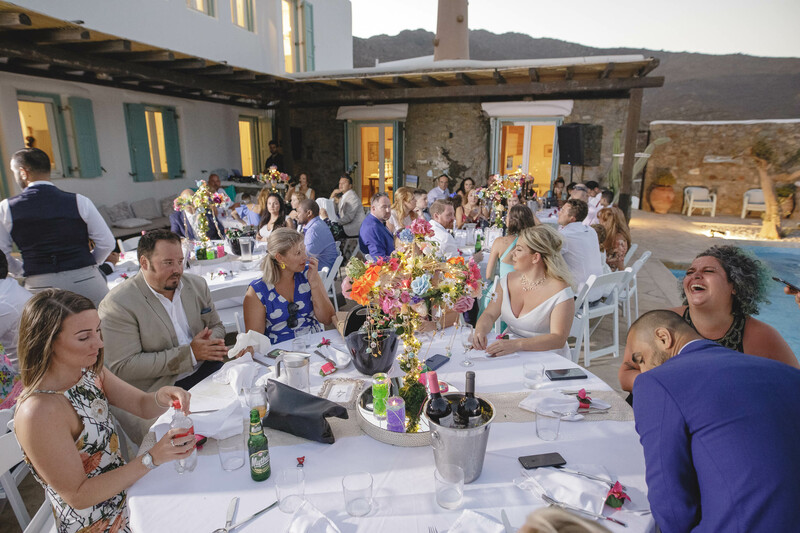 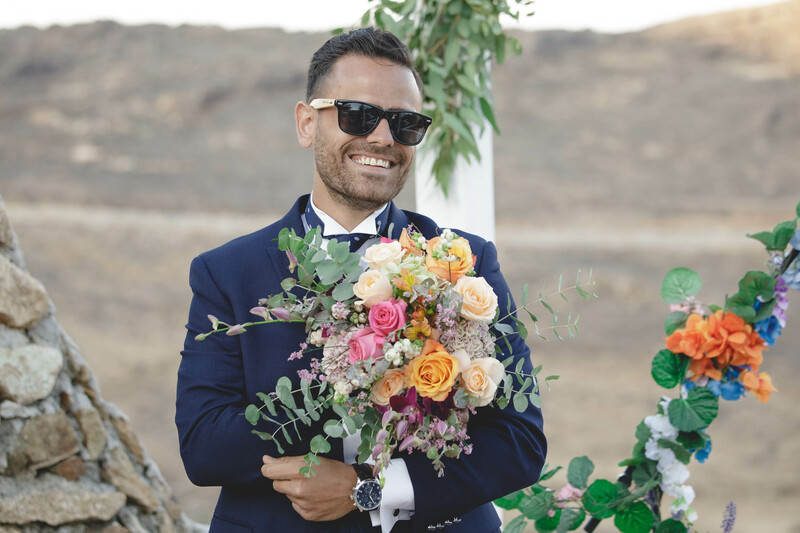 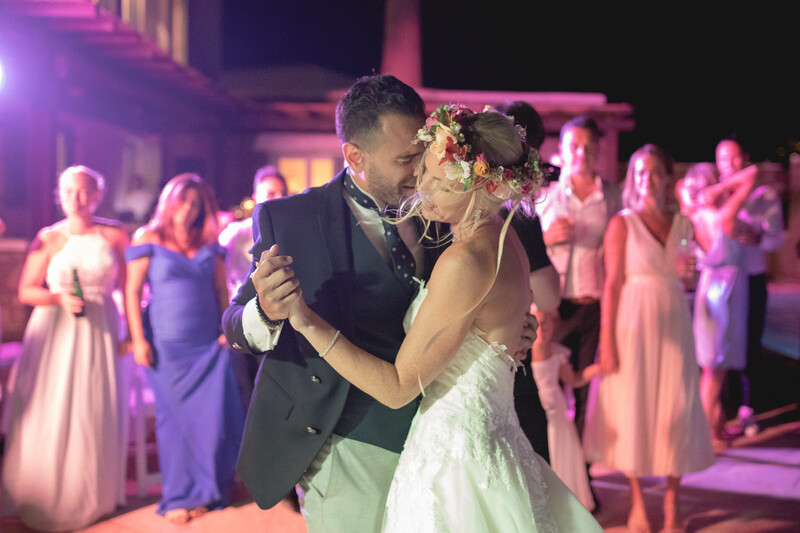 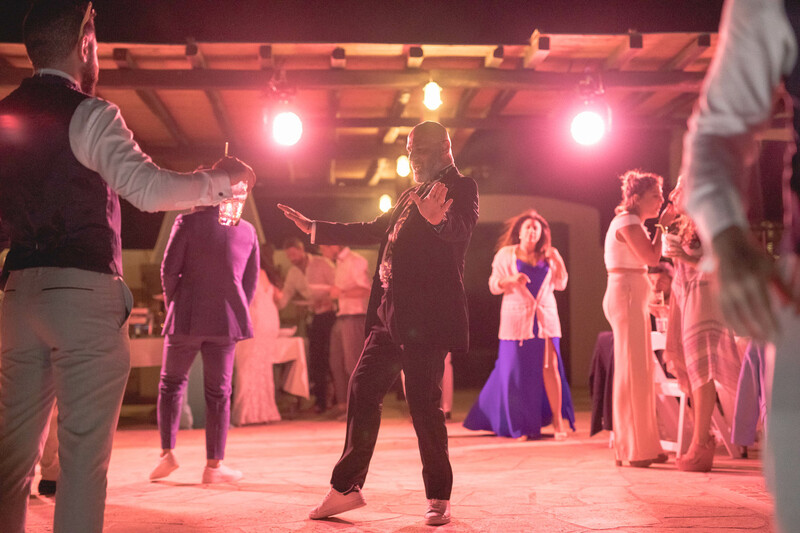 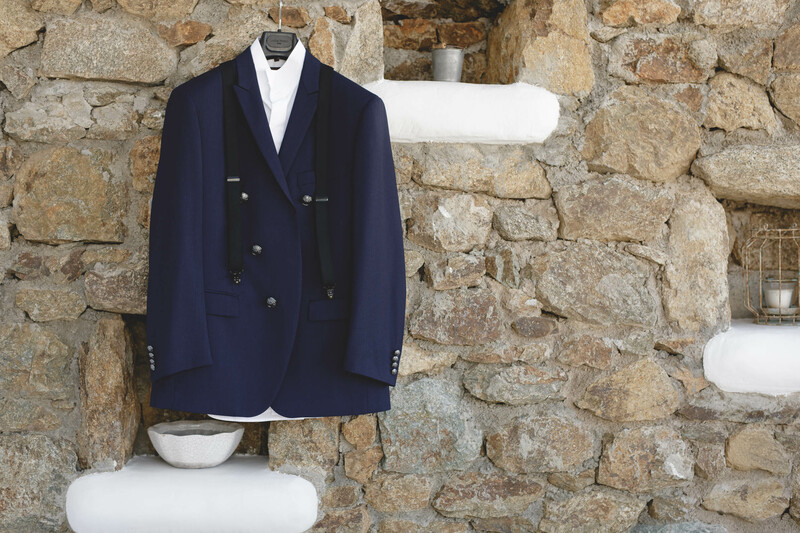 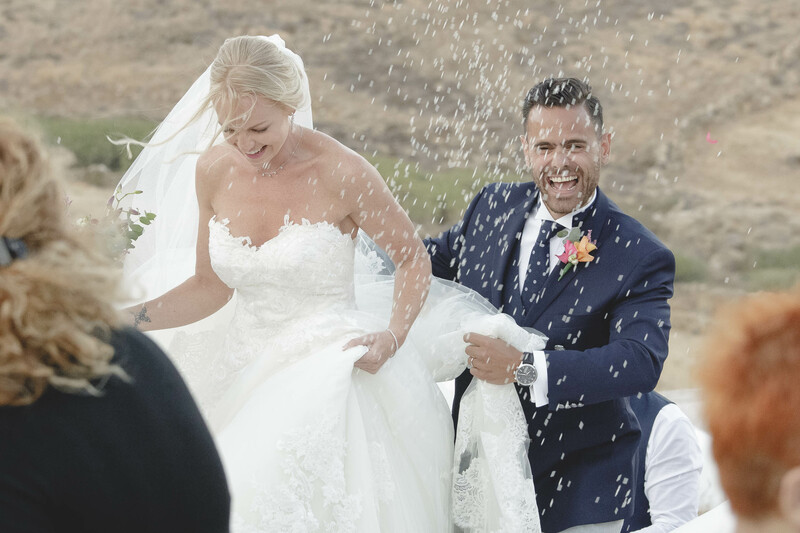 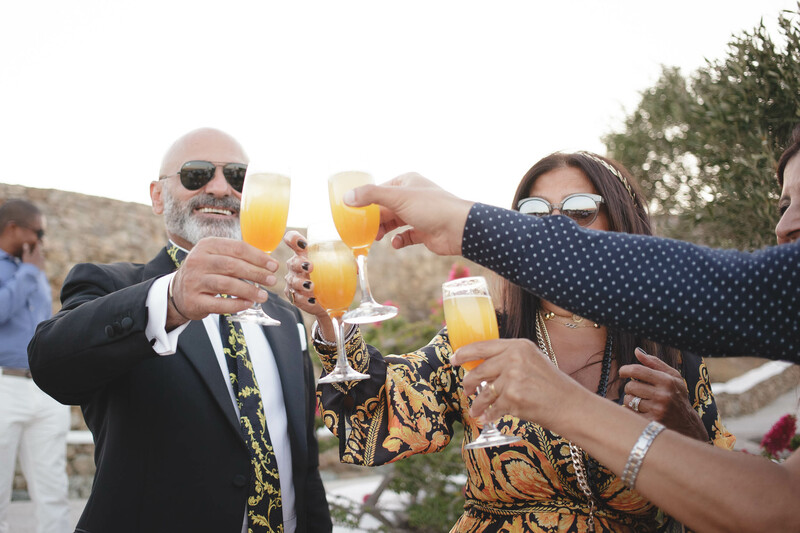 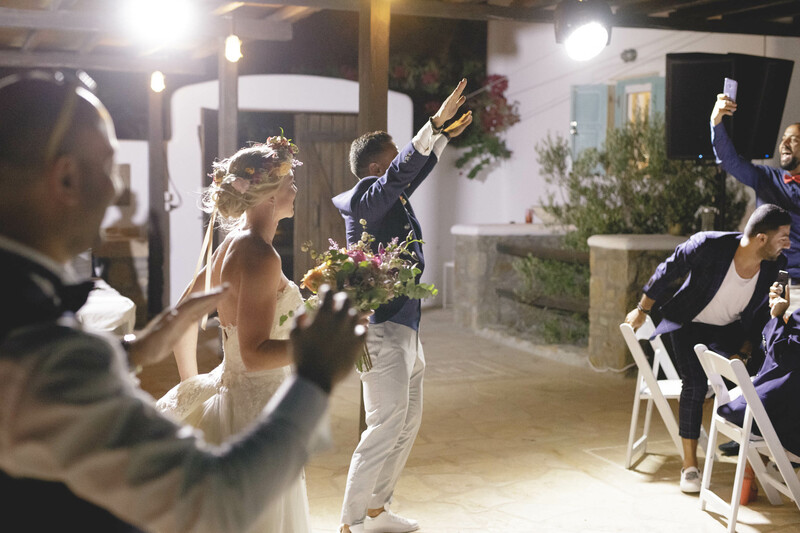 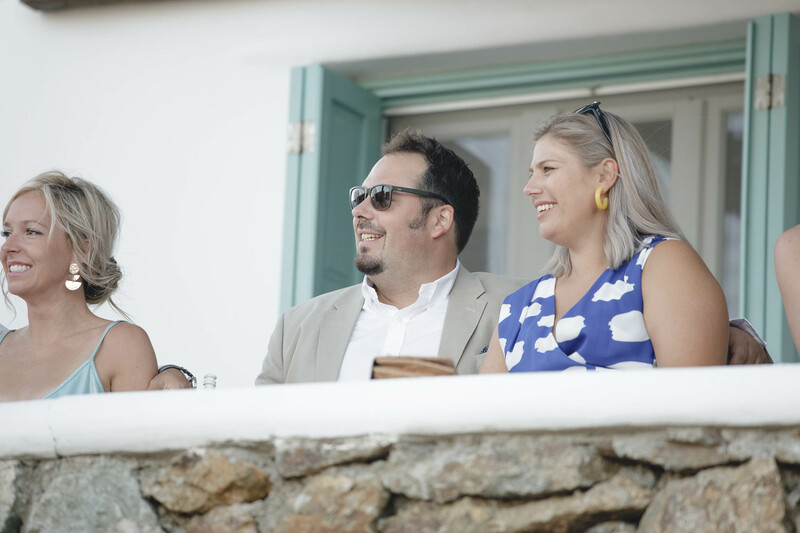 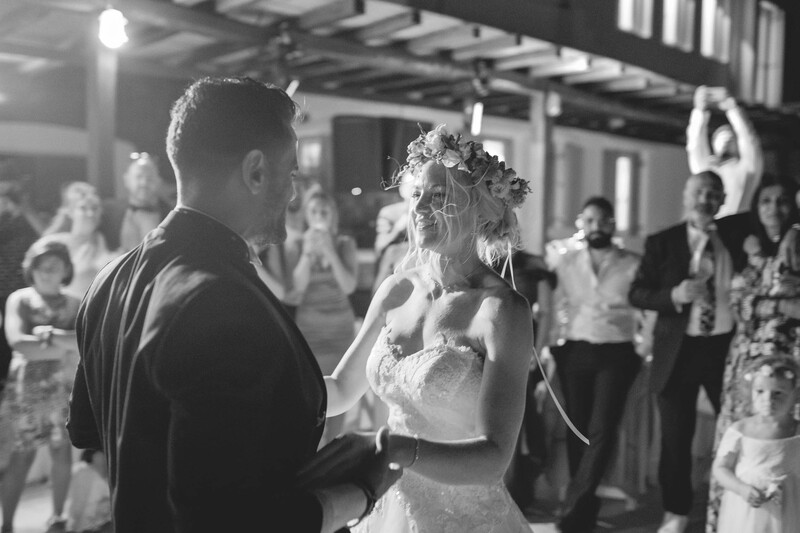 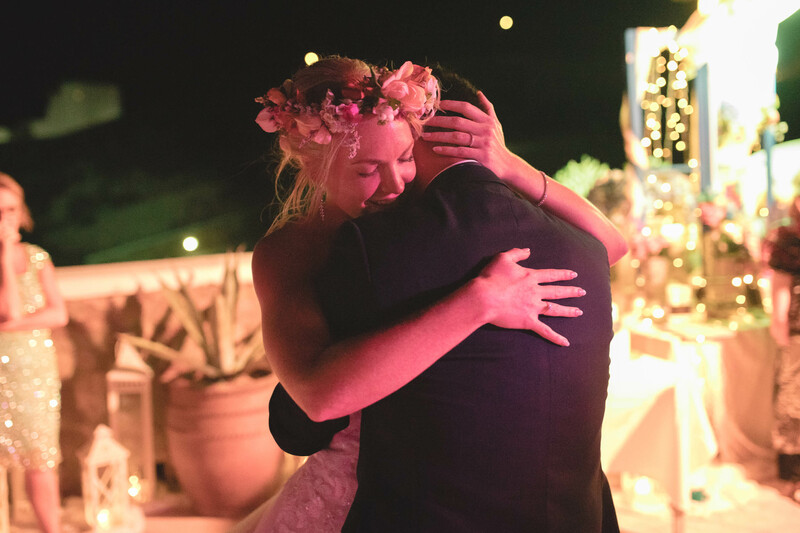 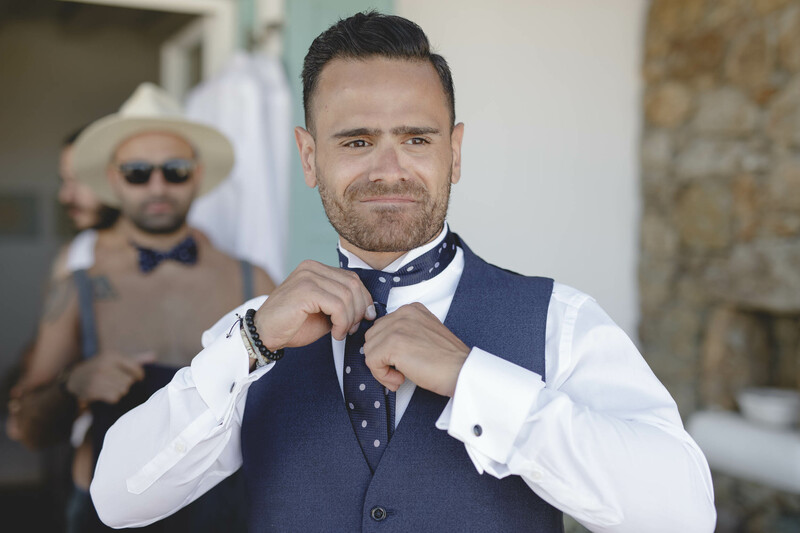 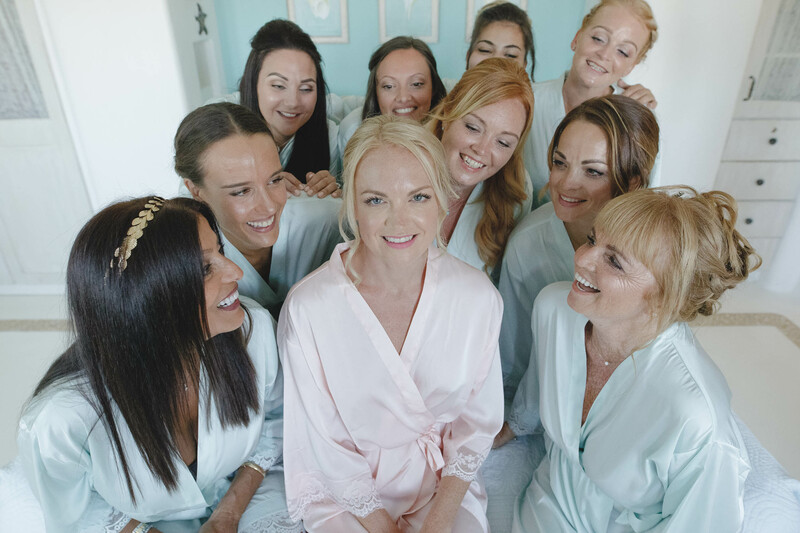 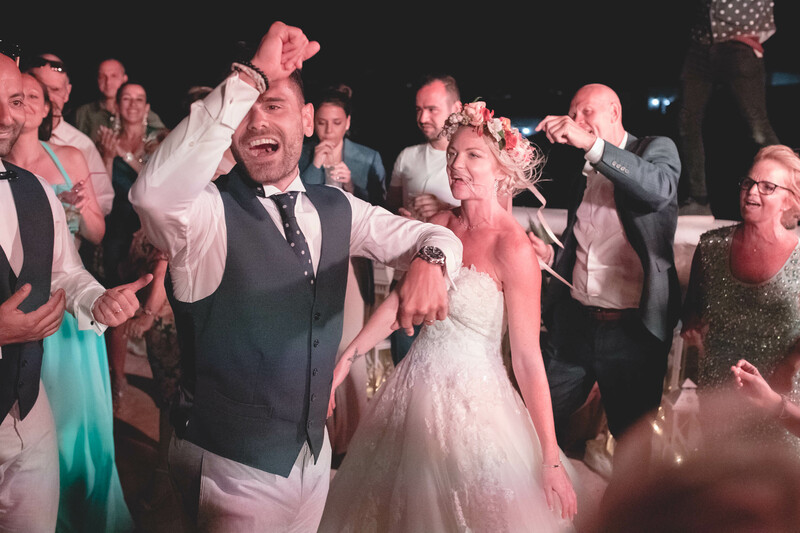 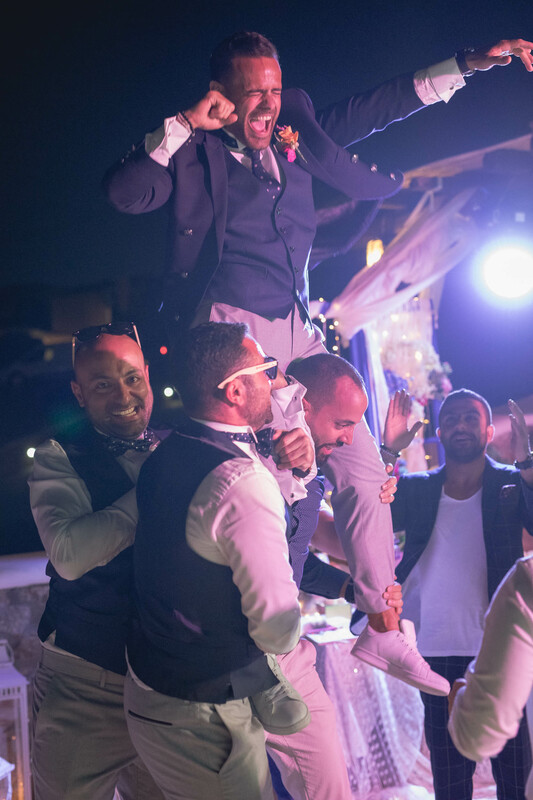 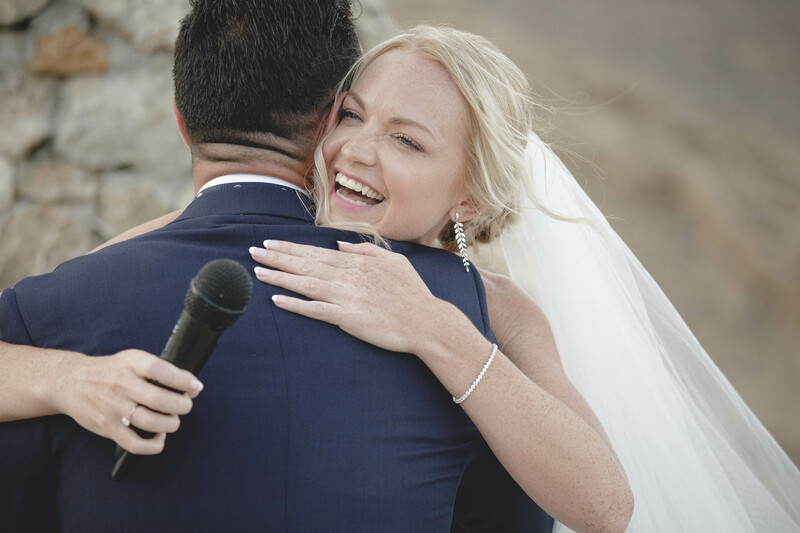 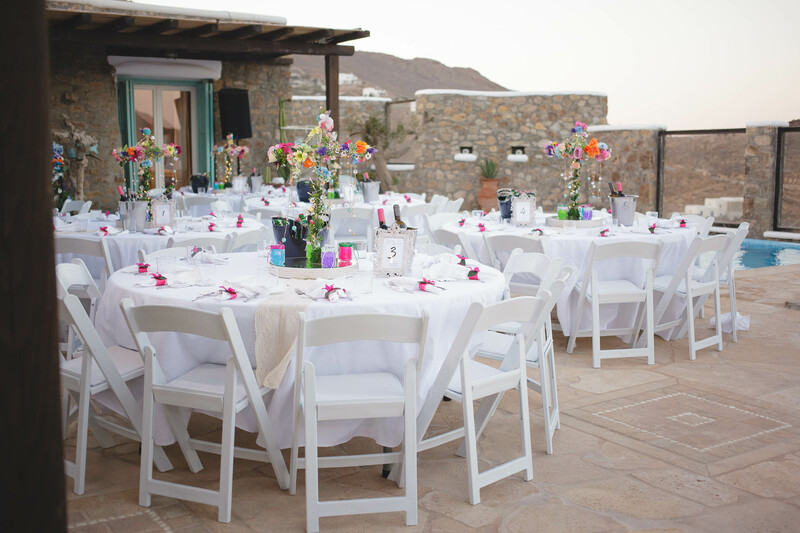 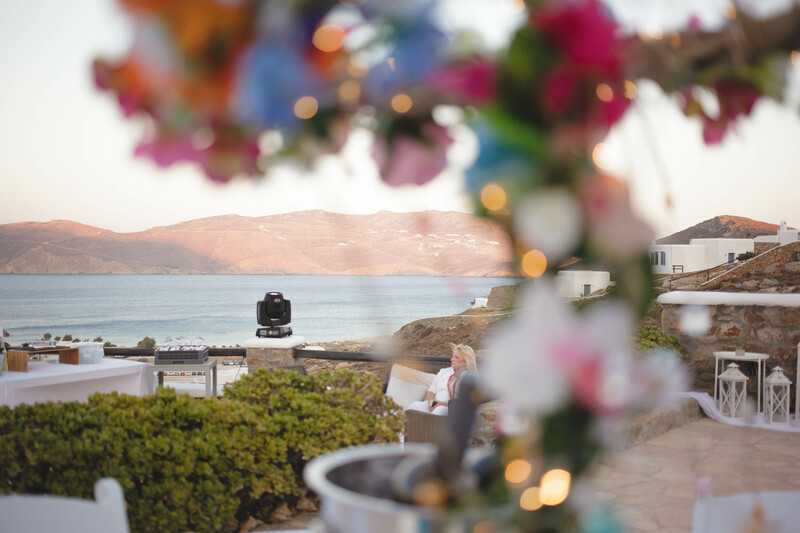 The ceremony and the wedding party took place at Mykonos Panormos Villas, on a rocky hill decorated with luxurious villas. 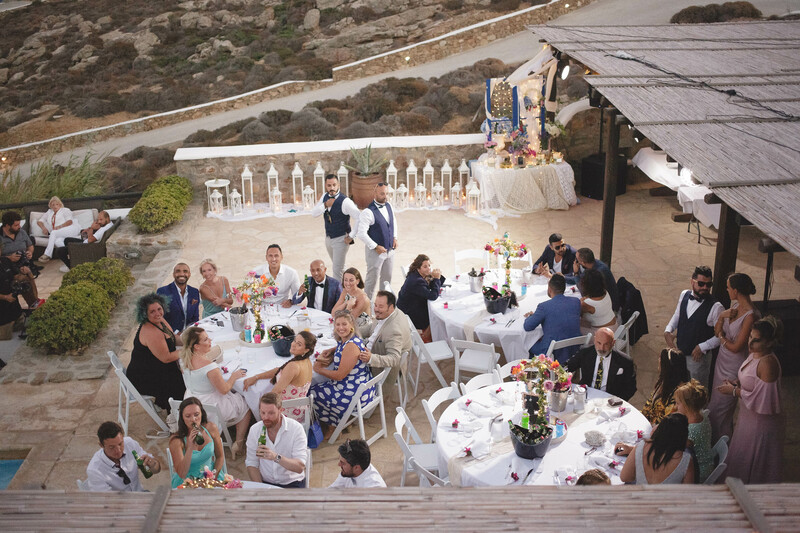 The ceremony was staged at the edge of the villa viewing over the Panormos bay. 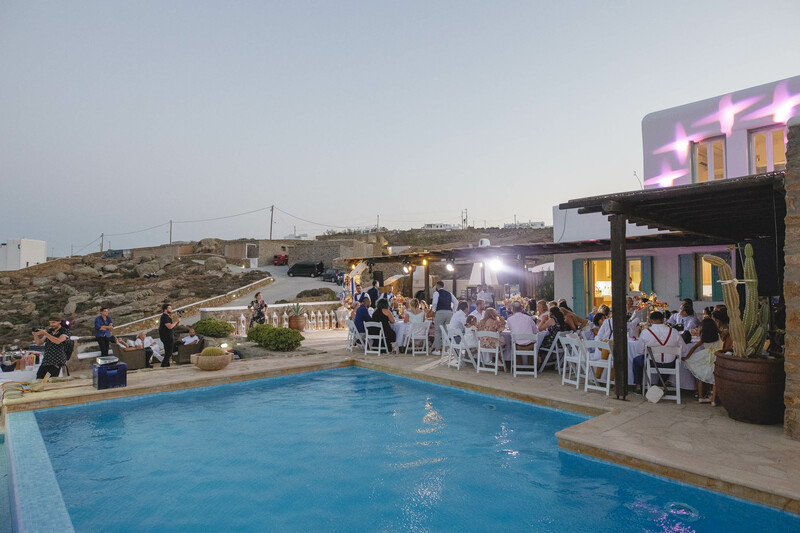 The wedding party was held next to the villa’s pool between the open bar and the dining area. 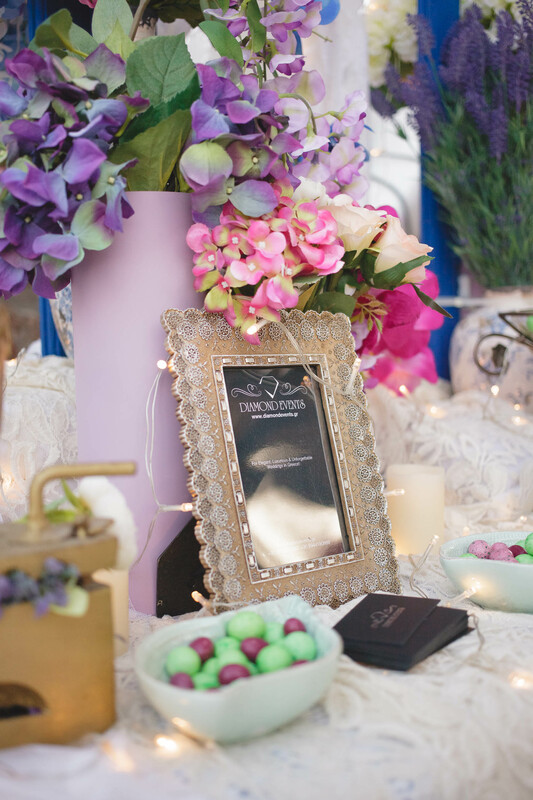 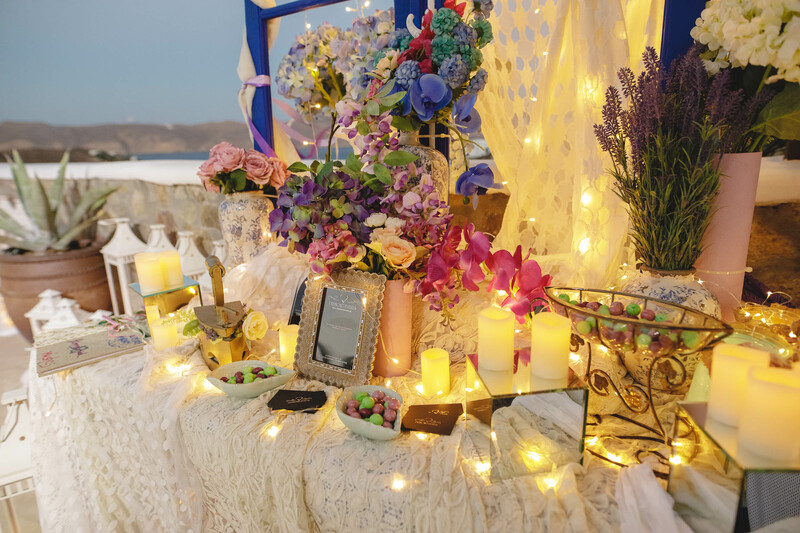 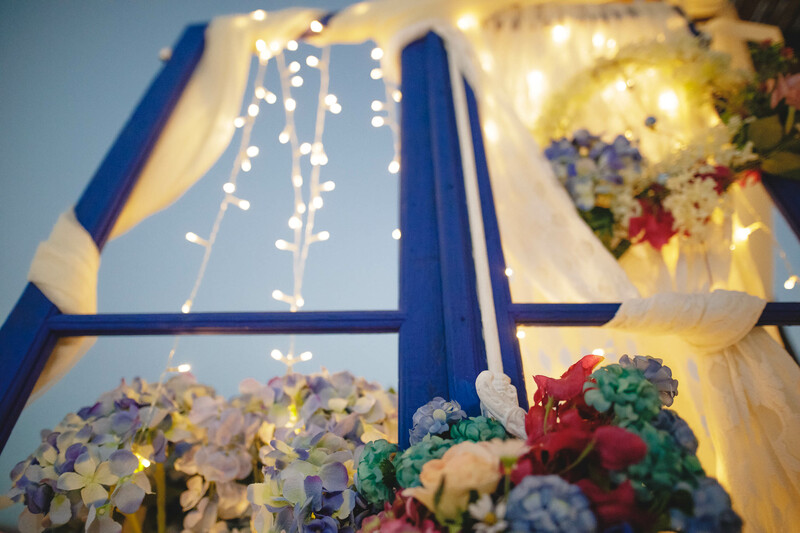 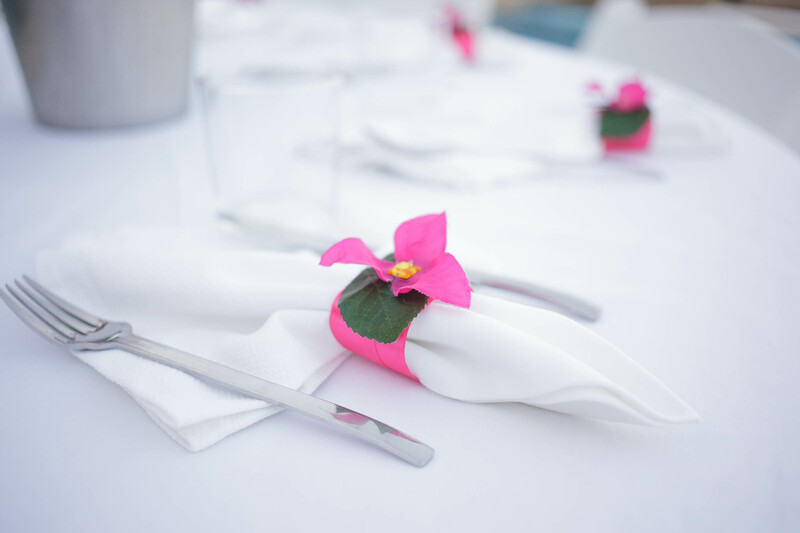 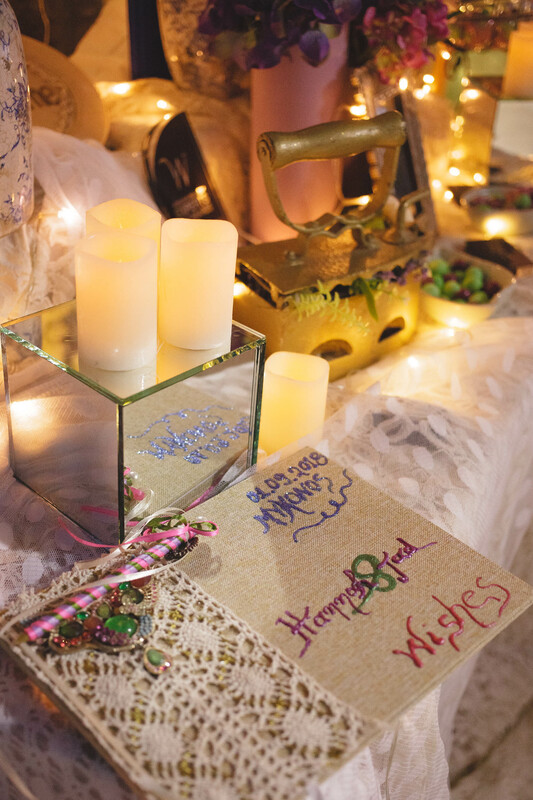 The decoration had Diamond Event’s touch with colorful flowers, greek details and a romantic feel. 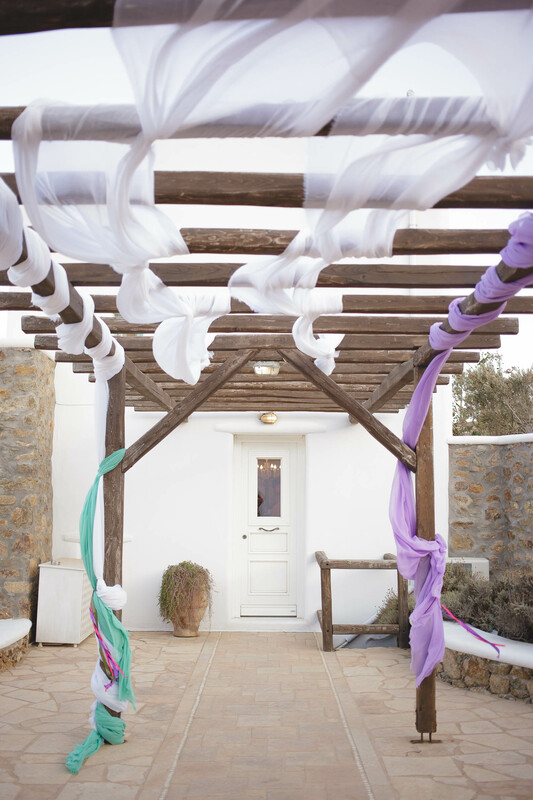 We started with Jad’s and Hannah’s preparation at the two different buildings of the compound. 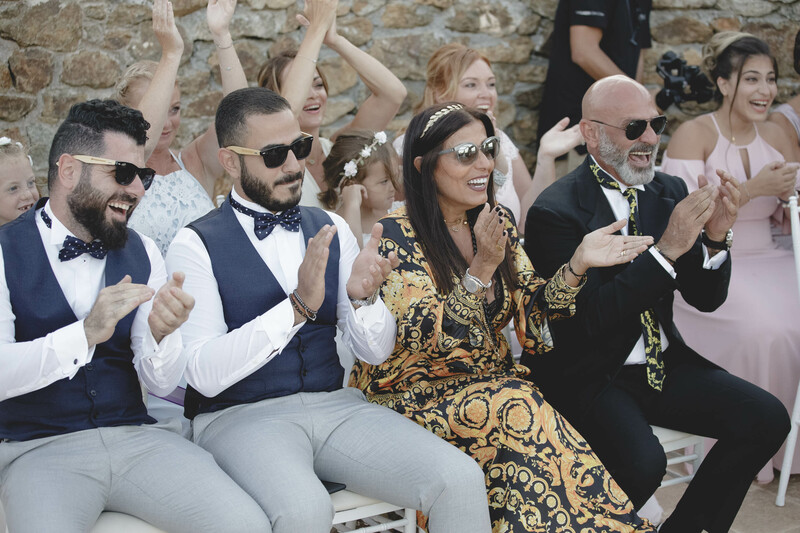 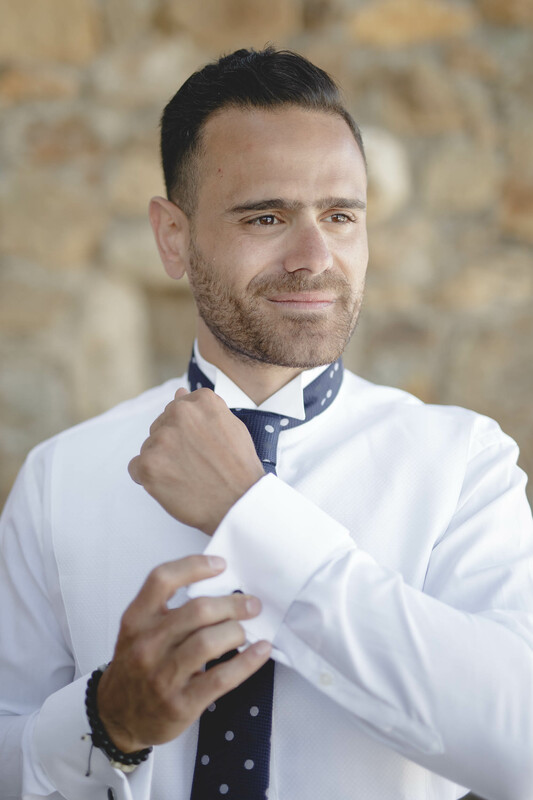 Jad got ready with his father and brothers having a lot of laughs and Hannah got ready with her bridesmaids, mom and mother in law. 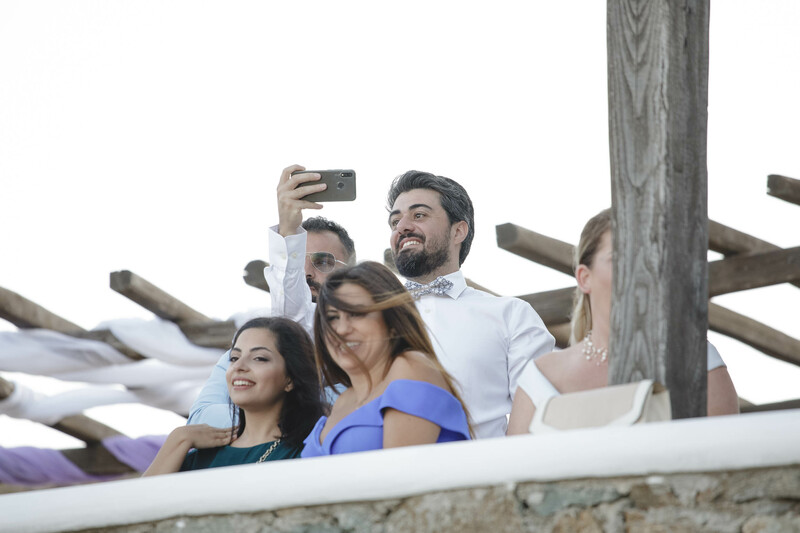 The ceremony started at sunset and all the guests saw the beautiful couple and,behind them, the glorious view over the bay. 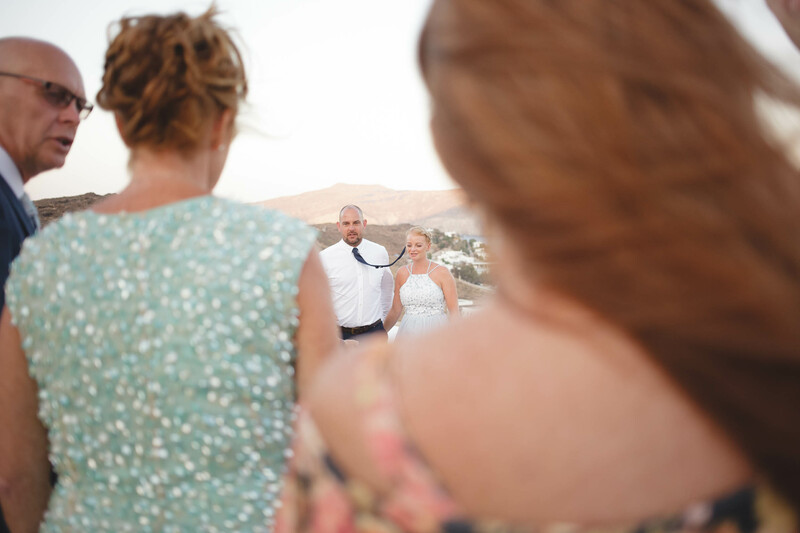 After the ceremony we shot with the last remaining light of the day with the couple at the Panormos beach. 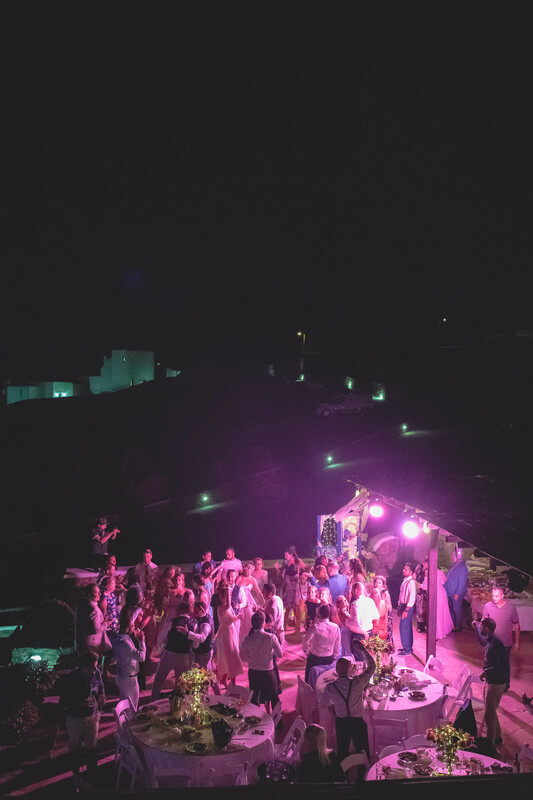 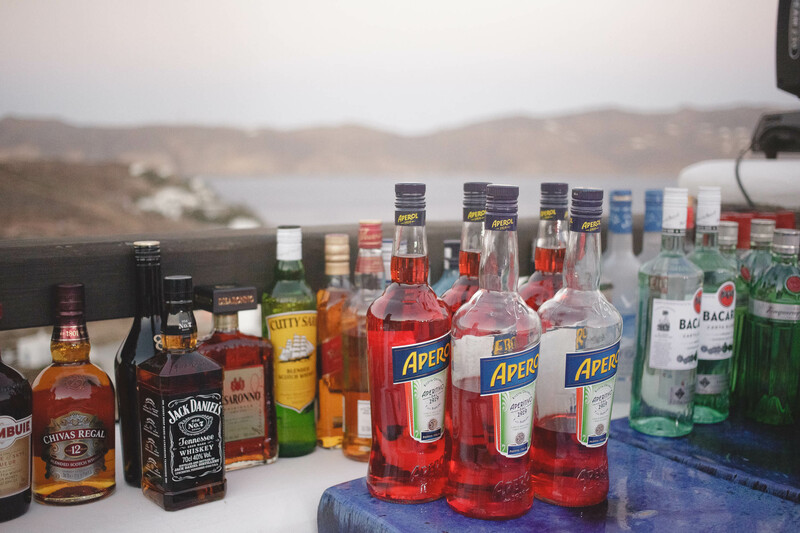 After the sunset we returned and the party started with a lot of drinks, dance, fun and laughter. 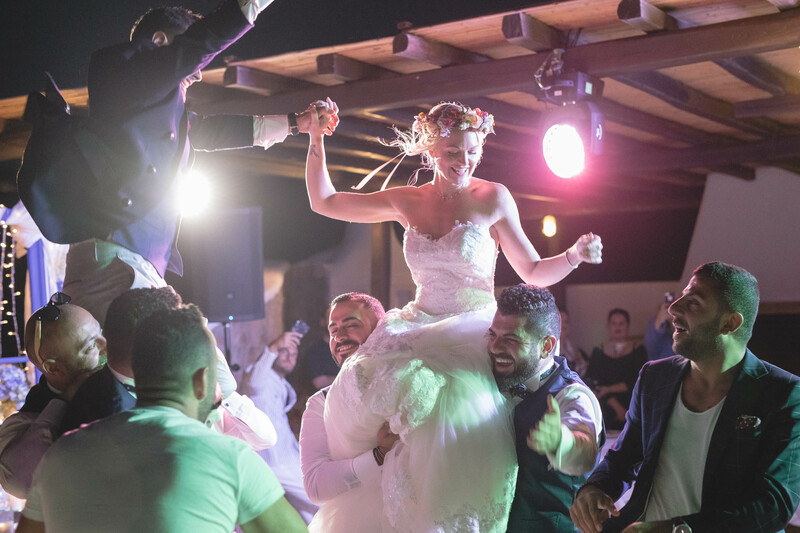 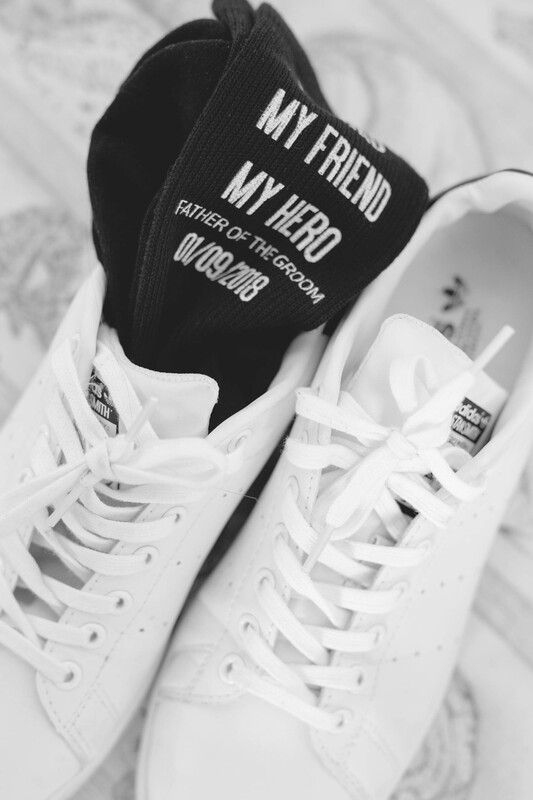 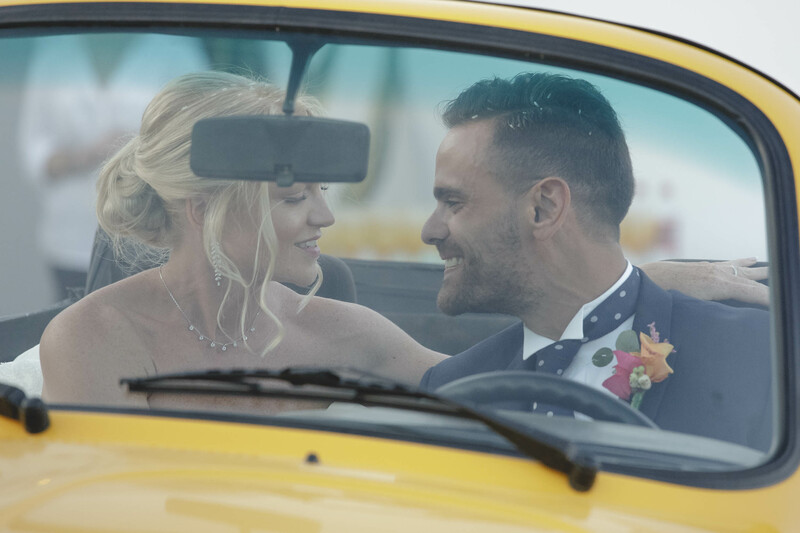 We enjoyed every single moment of Jad and Hannah’s wedding. 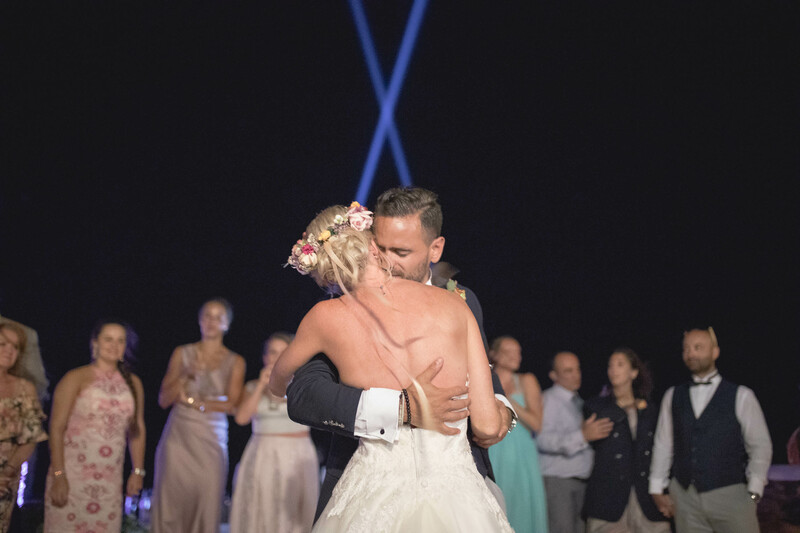 I wish all the best for your new life together!